While 2018 has witnessed some turmoil in the crypto-currency markets, interest in this new asset class – and also in investment funds which allow easy access to crypto-currencies – remains high. On 26 June 2018 CBOE Global Markets filed an application with the US Security and Exchange Commission (SEC) seeking approval for a Bitcoin Exchange Traded Fund (ETF) after the first Bitcoin future started trading in New York in December 2017. The SEC’s decision regarding the application is expected for Q3 2018 and, subject to approval, could potentially not only lead to a new surge in volumes, but also pave the way for more crypto-funds resulting in enhanced regulation of the market. Often regulation is seen as a threat to the crypto-currency market, since it partially contradicts the original idea. But is this really true? Does regulation have to be an obstacle, or could it be a market accelerator? 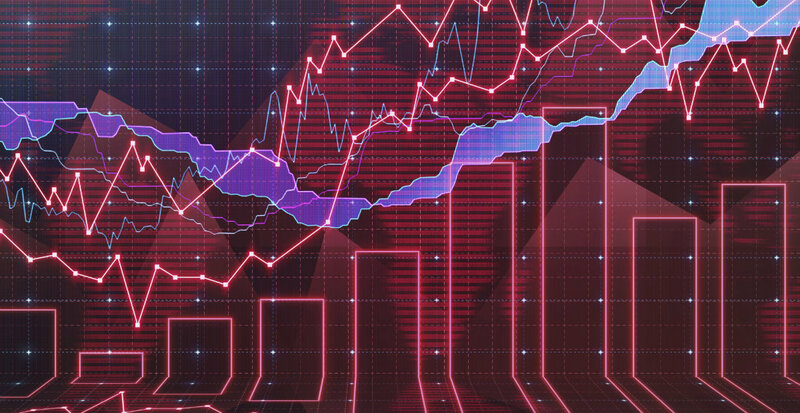 While the risks of the asset class remain high, including amongst others: liquidity, transaction speed and increasing transaction cost, IT risks, as well as a technological debate between developers and the mining community, the appetite for crypto-currencies has continued to increase and spilled over from the original investment community to the everyday investor. giving investors access to a well-known (liquid) product while benefitting from the experience of experts. As appealing as the idea of a crypto-fund seems to be – and indeed the first crypto-funds, hedge funds and fund of funds are operational or in their first closing – there are still many obstacles for those who want to launch such a vehicle. Currently, crypto-currencies are not recognized as cash/cash equivalent in the vast majority of jurisdictions, including the European Union. Likewise, accounting standards do not (yet) provide the means to choose such classification. On June 14, 2018, however, the SEC clarified that Bitcoin and Ether are not securities, which means they do not have to comply with strict US requirements on registration, disclosure and accreditation of investors. This definition is of course limited to only two crypto-currencies and hence many tokens and especially Initial Coin Offerings (ICOs) might meet the security criteria and be subject to regulation. Logically it would also not apply to ETFs which are publicly traded. Furthermore, in February 2018 Swiss FINMA published guidelines on the regulatory classification and treatment of tokens, distinguishing between those to be considered for payment, those for access to digital services and those which are securities. Of these, the latter are considered to be subject to regulatory requirements (i.e. issuing a prospectus). No matter the classification, the undeniable anti-money laundering (AML) and know your customer (KYC) risks related to an asset class which is characterized by a large degree of anonymity is always present and AML laws would generally apply. For this reason investments in crypto-currency fund structures need careful consideration – at least until the regulatory and accounting frameworks have evolved in this regard. Together with fund structures and the AIFM Directive, safe custody of crypto-currencies becomes a requirement for managing these funds. With the new asset class multiple problems arise on the depositary side, but the most important one is the mitigation of IT risk from cyber attacks. This is usually managed by taking the sensitive private keys necessary to digitally sign a transaction off the system into a so called “cold wallet”. Currently, the number of (regulated) service providers and potential custodians/sub-custodians that can guarantee such a deep vault depositary service is limited. Although, again, the market is accelerating globally with the first crypto-custody services now live in the US and Europe. Finally, as mentioned above, the asset class is likely to remain extremely volatile. Funds will have to carefully monitor liquidity risk. Potentially this problem can be overcome by spreading investments not only into different currencies, but also into different strategies like Lending, Mining and ICOs (Venture Capital like funding). Regulation, after all, might add some additional safety and credibility to the markets. Although as a first step it is likely to be only applicable for crypto-related products (Futures, ETFs, ICOs), it might well spill over to the underlying asset classes in the future. To be effective and meaningful, regulators will need to take a modest approach and tailor supervision both to the requirements and the size of the market to generate the potential positive effects that regulation has demonstrated to be capable of achieving. Florian Konz is a Director in the Financial Services practice of Mazars Luxembourg. His expertise lies in the area of Investment Funds (UCITS), AIF Funds including Private Equity and Real Estate Funds. Florian specializes in the audit of complex investment funds (umbrella funds, master-feeder and pooling structures, funds with multiple shares classes, funds charging performance fees, etc.) as well as in the auditing of commercial companies and private equity firms. He is a qualified Chartered Certified Accountant and an authorized auditor in Luxembourg.